Wires are Pre – Crimped to attain their desired & specific opening. Patter of Weave depends mainly on the Application. Wire of any diameter & composition can be used. Wire Mesh manufactured where the weft or the warp wire is Pre - Crimped before weaving& the other warp or weft is woven non-crimped. This process provides rigidity to the mesh. Wire Mesh manufactured where the warp & the weft wires are Pre – Crimped to the desired size before weaving. It restricting their random movement and ensuring an accurate and consistent Square Opening or Rectangular opening. 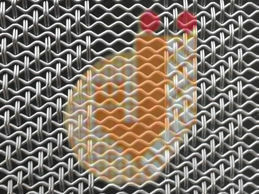 Wire Mesh manufactured where the warp & weft wires are Pre – Crimped & are woven with extra crimp or corrugation between them. It provides the proper locking for the wires, adds rigidity & accuracy where the opening is more with respect to the wire dia. 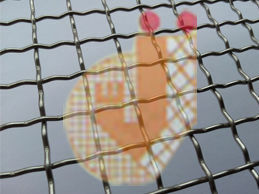 Wire Mesh manufactured where the wrap & weft wires are Pre – Crimped & are locked underneath the wire. This results in one side the mesh is crimped & the other side it has a flatter & smooth surface. 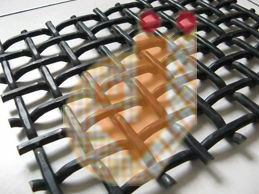 It improves the material flow & also acts as a support to other fine mesh on its top. 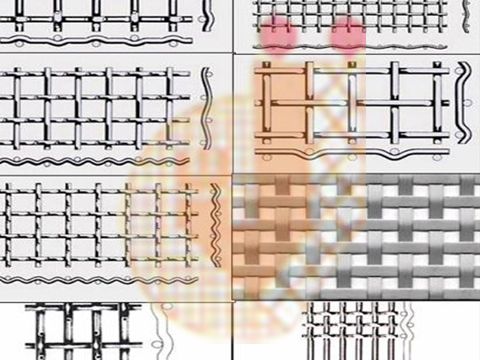 Wire Mesh manufactured where the warp or weft wires are arranged in a set of 3 or more wires with long gaps in between the set as desired or required forming a long rectangular opening at regular interval. The other side wire is woven one after the other. 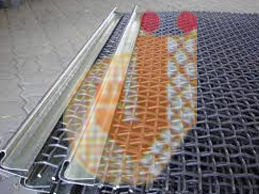 Such Screen provides maximum open area & prevents blinding or plugging of material in the mesh as compared to square shaped wire mesh. 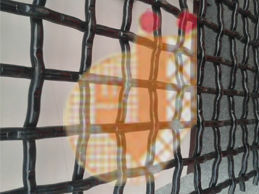 It is also called Fertiliser Screen as it is widely used in the Fertiliser Industry. This screen manufactured where the warp wires are deeply Pre - Crimped & arranged. The weft wire is then woven single wire or double wire at a time in set of 3 or more & at regular intervals. The wires vibrate independently from one & other preventing material blinding & plugging. 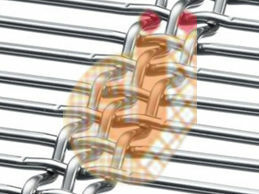 Wire Mesh manufactured where the warp & weft wires are Pre – Crimped&both the wires are given a bend. It provides the proper locking for the wires, adds rigidity & accuracy where the opening is more with respect to the wire dia. 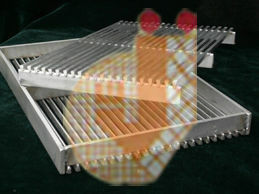 Vibrating screen can be supplied with type of different type of Edge Prepration. Edges of the Screens are folded at different degrees on any of the side (Width / Length) with or without sheet. Metal Fabrication are also supplied in Stainless Steel, Galvanised Sheet, Mild Steel Sheet or Rubber Sheet are used extensively used for Edge Preparation. Wire Screen main used for Petrochemicals Industries for Oil extractions.